ViewWorld ApS is now a reality! Jeg får løbende forespørgsler på min gamle bog "Med hjertet på bundlinien" Den handler om hvordan man kan arbejde med en god sag som en del af sin markedsføring.... og ikke mindst alle de faldgrupper der er med det. Der er stadig en del gode pointer om CSR og CRM (nej ikke Customer Relationship management, men Cause Related Marketing) så hvis du har lyst til at bruge en aften så kan du downloade den her. Jeg vil dog gene fremhæve en regel som er reglen over dem alle i CRM. Overvej denne optænkte samtale med en journalist og direktøren for at et sodavands firma der giver 1 kr. pr. flakse sodavand de sælger til en god sag. Journalist: Hvorfor giver i 1 kr. pr. sodavand i sælger til en god sag ? Finally it seems that the crises has lost it cold grip, and Europe ones again are moving forward financially. Unemployment has fallen in northern Europe and already their is a substantially need for highly skilled workforces in Scandinavia and Western Europe. FairPeople CZ, DK and UK are already sourcing the best and the brightest business development and IT development teams from Eastern Europe and Russia to help with the growing demand for high tech talent. I really don’t know why stuff always happens at the same time. 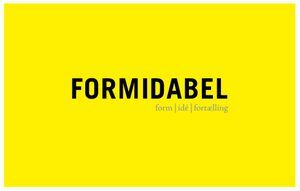 But in the last 6 month: Eye for Image acquired Poets and Plumbers, 24 MAS bought Spoiled Milk and Camilla Behr took over Formidable. It always feels a bit sad when you sell your shares in companies you love and have spend lots of time and energy on. But it leaves Junger & Co with some nice cash and much needed time - to focus on our new GREAT venture (coming soon J) Please visit http://www.eye-for-image.com and http://www.24mas.com to visit poets and plumbers and spoiled milk new homes. ViewWorld ApS is now a reality, and the prospect of better faster and more accurate reporting for aid and development projects are now brighter. ViewWorld ApS has developed a simple android-based app, which enable aid organisations to collected, aggregate and report one their projects in real time. The director of ViewWorld is Christian Friss Bach and the Chariman of the Board is Martin Von Haller Groenbeak. Junger & Co is a proud invester. Junger & Co… just created a new company together with its new director Christian Helsengreen. Well anyone can start a company, but Christian managed to make EFFEKTHUSET profitable in no less than three month --- NOT BAD when you start a marketing and sales operation in the middle of a recession. The basic idea is to help marketing and sales mangers do more of what works and less of what doesn’t. As it turns out the combination of telemarketing and online advertising seems to works splendid. At the least for the companies EFFEKTHUSET works for… and if it works for the customers… it works for EFFEKTHUSET. Take a look at the… not so pretty website… or give Christian a call for more information: +45 51 20 52 40. Lots of new stuff happend during the summer. ...and now after one year the Industry movement is a reality.